**Accepting back-up offers** Incredibly spacious 3 bedroom 2.5 bath townhome in the centrally located community of Lenox Place, only 3 miles from the University of Florida! This home features upgrades throughout! Wood laminate flooring in all bedrooms and living areas. Updated kitchen features new granite counters, stainless appliances, premium sink/faucet package and an eat-in nook. Large dining area with beautiful white columns. 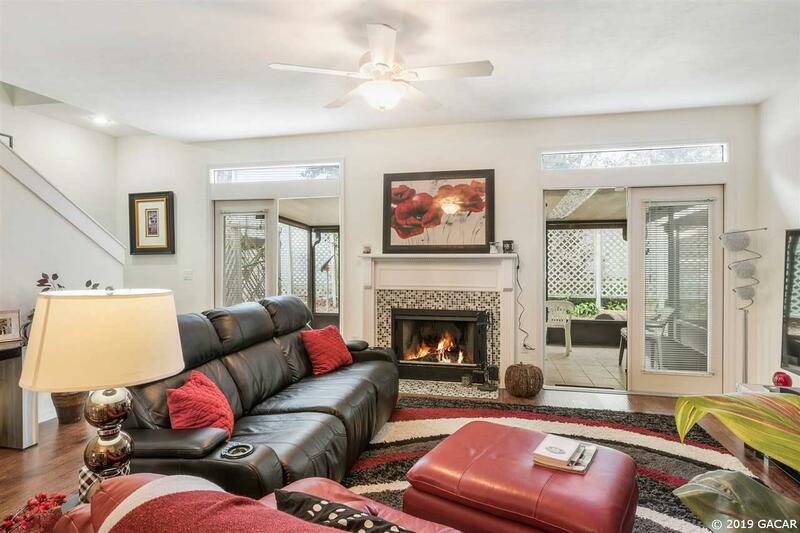 Lovely fireplace with tile detail in living room and two sets of french doors that lead out to the screen patio. Spacious master with a large closet and additional walk-in closet. 2nd and 3rd bedrooms have ample storage space in closets. Full sized laundry room. Attached 1-car garage with massive storage in attic above. Home has been exceptionally well kept. HOA covers all exterior maintenance. Prime location close to UF, shopping, dining, hospitals, Gainesville Health and Fitness and I-75.